Durban is any holiday-maker’s dream and was recently named a Top 10 Oceanfront City by National Geographic which is part of National Geographic’s “World’s Best Cities”. But it’s no secret that city guide books and travel websites often share the same tips on what to do and what to eat but sometimes it’s all about the best kept secrets which prove to be the most fun. Here at The Socialite we have uncovered the city’s secret hotspots, latest gems and trendiest night spots. Over the last few months there has been a boom in local eateries and food offerings so choosing a few hotspots to visit in Durban was not a difficult task. Students can look forward to weekly restaurant specials such as half-price cocktails and sushi at Beluga on Sundays and La Bella in Essenwood offers half-price pizza and pasta on Monday nights. The Boiler Room Café has also become a local favourite and offers a casual daytime eatery to guests. It’s situated in the heart of Durban and is the residential cafe at The Lion Match Factory Office Park. It’s relaxed yet inviting atmosphere serves as a welcome retreat for a coffee and catch up with friends or working lunches with your colleagues. Fancy a cocktail or whiskey with the boys, well then The Dutch in Umhlanga is the perfect spot for you. It’s trendy and upmarket and offers old school music with modern décor. It also offers a great tapas-style menu and has played host to local musos including the likes of Ard Matthews and Arno Carstens. 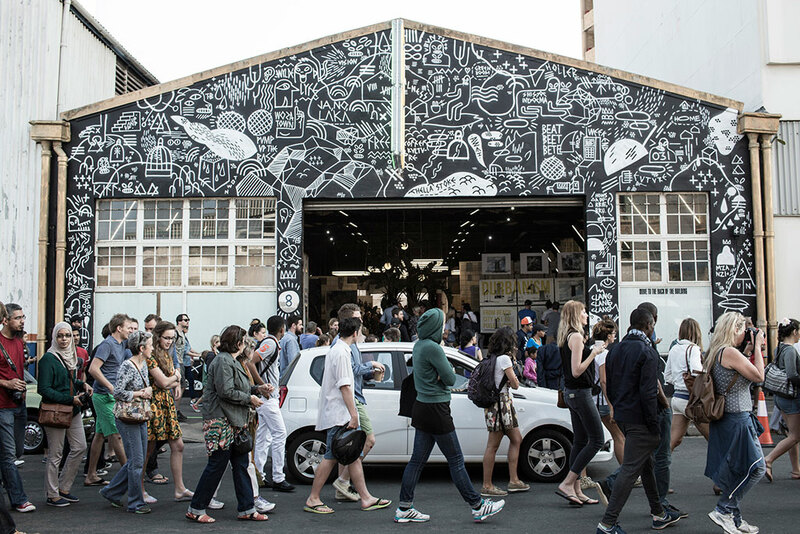 On your next visit to Durban be sure to check out the Rivertown precinct, the hottest development in the city which has become a trendy urban renewal space. Early Sunday mornings you can visit the Morning Trade market offering fresh local produce and infamous Falafels. Next you’ll find the Rivertown Beer Hall and 8 Morrison Street which serves as the lifestyle and creative hub of the development. Think live bands, local cuisine and flowing drinks. The most recent addition to the transformation of this inspiring space, is the development of co-working office and retail spaces, designed to meet the needs of start-ups, entrepreneurs and creatives who seek an urban workspace. When one thinks of Durban it’s synonymous with sunshine, rock pools and crashing waves so what better way to truly experience our city than with an afternoon at the beach. The northern beaches are fondly known as the Dolphin Coast and are a great place to watch the spectacle of dolphins surfing the waves and makes for the perfect setting to relax with a cocktail at sunset. 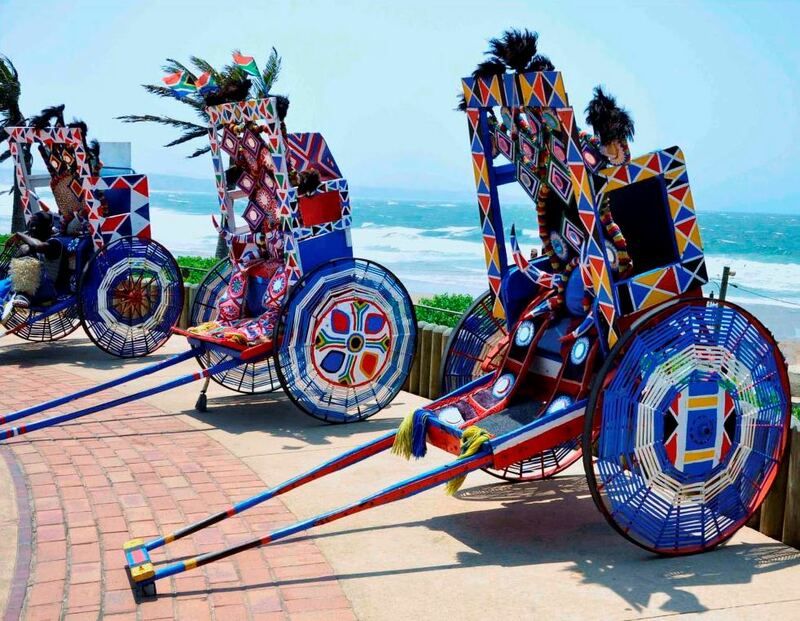 Durban beaches are amongst some of the best rated beaches in the world and you can experience if for yourself with a bike ride along the Golden Mile, aptly named for the golden sand beaches lining the coastal edge of the city’s CBD. After the city’s latest revamp it plays host to the perfect venue to Watch the pro’s at the North Beach skate park or get in on the action by hiring a bike or skates from one of the local stores. Join eco-active outfitter Bike & Saddle for a guided morning cycle along the Mile. If the wind picks up you could always make your way down the north beach strip and have your choice in beach side cafés and restaurants for a bite to eat. The Surf Riders Café at Addington Beach serves as both a coffee shop and restaurant and this unique hotspot merges the concept of eatery and surf shop which truly encapsulates the Durban surfing culture. Also on our radar is Afro’s Chicken which has made quite a name for itself among the locals. It’s a shipping container turned into a funky chicken bar and their peri-peri chicken burgers and their bacon breakfast rolls are legendary. 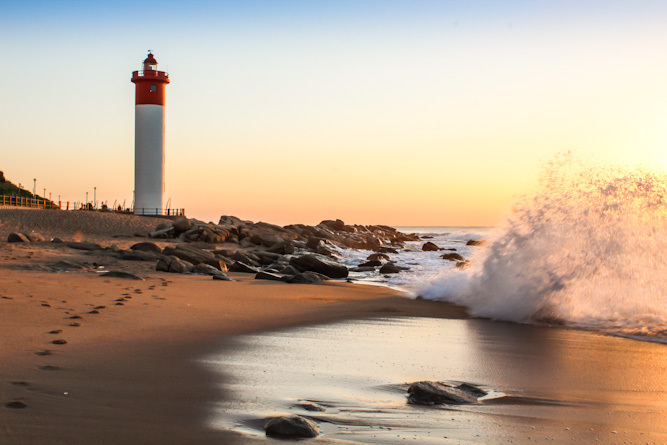 When visiting the sandy shores of Durban, it’s easy to discover why the city is one of the most loved destinations in the world. There is so much to see with a variety of experiences to be had. Why not visit Durban’s latest icon, the Moses Mabhida Stadium and experience the ultimate thrill with the world’s highest swing by jumping from the platform for a 60m free-fall. Adrenaline junkies can look forward to accelerating to a speed of over 120kph! For those feeling a little less brave and a little more contemplative, you could enjoy unparalleled views of the entire city and the coastline in the SkyCar or take a walk up the stadium’s iconic arch. For many, Durban is the sub-tropical beach getaway that people are fortunate enough to call home. For others it’ll become the city you wish you visited and with its abundance of sunshine, cultural diversity and dynamic personalities the city on the East Coast leaves much to be desired.